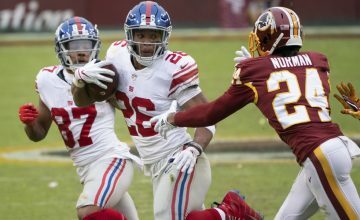 Following and reading news, rankings, and analysis are all great ways to gear up for the fantasy season. But the most important thing you can do is participate in mock drafts. 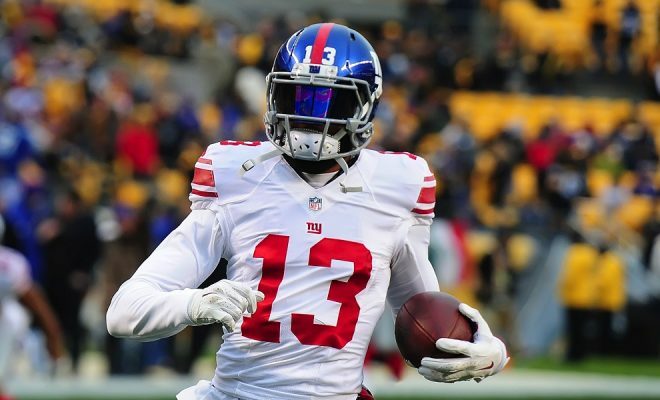 Do you think Odell Beckham Jr. hits all those sweet touchdown dances on his first try, no practice? Absolutely not. The man is out there practicing EVERY. SINGLE. DAY. – and you should be too. They take forever. Even if people are making their picks in a timely manner, the average mock draft can take over an hour to complete. Ain’t nobody got time for that. With the FantasyPros Mock Draft tool, these things are over in 10 minutes. 15 if you’re Brett Favre-level indecisive. Autopicks. Ideally, each person who enters a mock draft lobby stays the whole time and makes educated and reasonable picks. The latter rarely even happens in real life, so how could you expect random internet trolls to live up to that expectation? A majority of mock drafters enter a lobby, make three or four picks, and leave. This leaves the computer to draft based on a pre-set list, which is not a good simulation of how a draft would really go. People. You would think that having real people in a mock draft would be the way to go, but you would be wrong. There are the trolls who enter a lobby just to draft Tim Tebow and a kicker, casual players who draft quarterbacks first overall, and people who just want to reiterate that Dez did not, in fact, catch it. Fortunately, there’s a way around this. 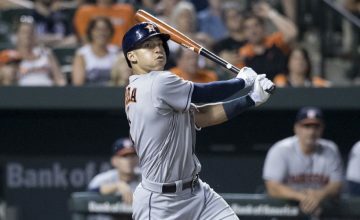 The Draft Wizard Mock Draft Tool at FantasyPros.com (and also available on mobile devices) is THE best way to mock draft. Let’s walk through a recent mock draft I did and how each of the features the Draft Wizard offers is beneficial. The mock draft begins with an interface where you can customize your draft to reflect your league settings. This is huge especially if you play with non-standard rosters such as 2QB or superflex. 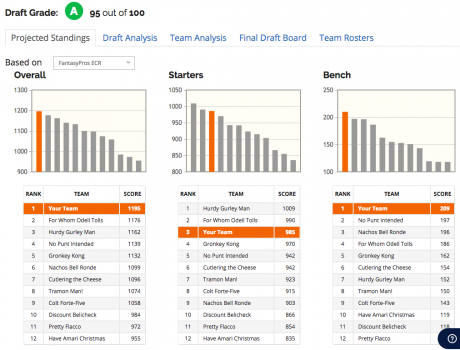 You can even simulate Auction drafts or have league sizes that range from 4 to 32 teams. So this is perfect for that 16-team, Half PPR, auction league, that starts no QBs, 2 kickers, and 5 flexes that you accidentally joined while browsing r/fantasyfootball late one night. The page even allows you to link your league directly to their tool if it’s from a major website. As you can see on the left, I’ve loaded the configuration of our Fantasy Six Pack league. It automatically updated with the number of teams, my draft order, the scoring format, and the roster positions. In this case, it is a 12-team, PPR scoring format, where we start QB/2RB/3WR/TE/Flex/Def. As you can see, we’ve chosen to play without the kicker position to minimize randomness. The case for and against having kickers is laid out by Christopher Luft here. I can even select the draft slot I’ll actually be choosing from this year: 11th. 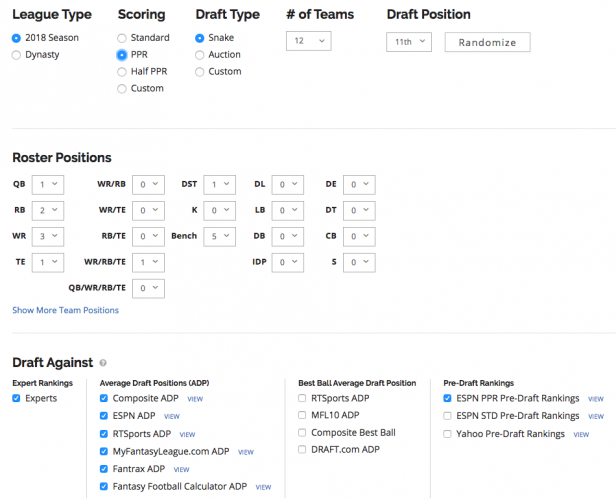 Another amazing aspect of this tool is the ability to draft against different rankings. 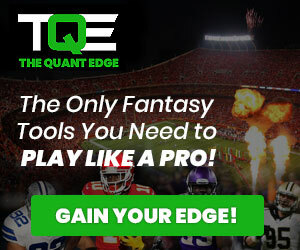 The software allows you to draft against the latest up to date expert rankings, average draft positions, as well as pre-draft rankings from the most popular websites. This gives you the most realistic feel for when players will be drafted in your real draft. The FantasyPros mock draft tool drafting interface is easy to use and full of beneficial features. At each of your picks, four potential players appear accompanied by a percentage of experts who suggest taking this player at this point. If you’re unhappy with these four choices, you can add another player to the pool at the bottom. At the 11th pick, with Julio Jones, Michael Thomas, Keenan Allen, and Melvin Gordon still on the board, 35% of experts suggest I take Jones – which I do. I’m not particularly scared he will actually hold out this year and he’s due for positive touchdown regression. One great thing to note about this program is that it automatically simulates the randomness that happens during a real fantasy draft. In this case, Kareem Hunt, the 13th ranked player on FantasyPros.com, was selected ninth overall. One person may be higher or lower on a player rather than just picking the highest rated player at each spot. This randomness also ensures that you will end up with different results no matter how many times you draft – even from the same position. My next pick, 14th overall, comes up almost instantly. Here, 55% of experts suggest I take Michael Thomas, the 5th rated wide receiver and 11th overall rated player. I was only able to do this because the computer simulated 12th user, who would be our fearless leader Joe Bond, went back-to-back running backs with Dalvin Cook and Melvin Gordon. This ended up perfect for me because in this league setup I want to lock up some top WRs early. Thomas, who has the most catches ever for a player in his first two years, is in for a big year as the Drew Brees and the Saints‘ go-to-guy. My Round 3 selection (35th) is up in – I timed it – 11 seconds. Read that again. What would take literally half an hour in real life or even a mock draft was over in ELEVEN seconds. Chip Kelly DREAMS of that kind of efficiency. Demaryius Thomas (23%) is the highest rated player on the board, but experts suggest I take Kenyan Drake (34%). I don’t see much of a difference between Thomas and a guy I could get maybe one round later such as Alshon Jeffery, Brandin Cooks, or Jarvis Landry. Drake is my preferred player here, but, remember, the person in 12th (fake Joe Bond) already took Cook and Gordon. The software will have him go with a wide receiver. So I’m going to go with Zach Ertz (26%). 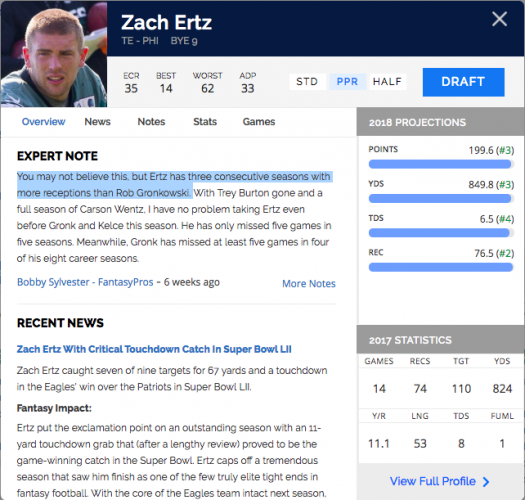 FantasyPros drops a note next to his name that “You may not believe this, but Ertz has three consecutive seasons with more receptions than Rob Gronkowski.” Even with Jeffery there, Ertz is the primary touchdown scorer and a difference maker at a weak tight end position. Sure enough, my premonition comes true and faux-Joe Bond takes Allen Robinson and Demaryius Thomas baaaack-to-back (shout out Meek Mill). Drake falls into my lap at pick 38. God’s Plan. Round five comes (pick 59) and the computer says my top two choices are Michael Crabtree (50%) and Alex Collins (18%). I’m a Ravens fan and even I don’t feel particularly good about those choices. Crabtree might be nice, but my fantasy team is strictly anti-getting-your-chain-snatched-on-national-TV. Instead, I’m going for Corey Davis, who has seven guys ranked ahead of him still available. I’m planting my flag this year – the Titans are going to be good on offense. Matt LeFleur has commandeered the two reigning highest scoring teams and he has boatloads of talent to work with this year. In rounds six and seven (62 and 86), I add Jamison Crowder and Dion Lewis to round out my non-QB starters. Crowder is one of the more underrated players in the league and is already developing a rapport with Alex Smith. He’s going to have superb value in PPR leagues. Lewis will have to compete with Derrick Henry, but he’s more versatile and signed a contract that suggests he’ll be the guy. Even if he isn’t he’ll be heavily featured in the passing attack and he’s consistently been a sneaky touchdown scorer. My Titans flag remains planted. In round eight (pick 89), the wizard wants me to take Drew Brees (46%). However, I think it’s a very deep year at quarterback and I am willing to wait. I take Brees off the board and now draft Dumbledore wants me to take Lamar Miller. We finally agree on one, as I think Miller is quietly underrated due to a sub-par 3.7 YPC. Even with that inefficiency, he totaled 1300 yards and six touchdowns – mostly without DeShaun Watson. In games with Watson this year, he averaged 18 PPR points which would have been top-5 in 2017-18. I blow through the latter portion of the draft, picking up steady veterans Allen Hurns and Rex Burkhead, before finally taking my quarterback, Phillip Rivers, in Round 11. Hurns has been the featured receiver in a run-dominant offense before and had success in that role. The Patriots drafted Sony Michel and brought in Jeremy Hill. However, I don’t think they’ll stray too much from Burkhead, who should be the favorite for goal-line work. He scored six touchdowns in his last four regular season games. He also has the meanest bald head in the game since Brian Urlacher. That counts for something. I followed that up with two high-upside receivers in Tyler Lockett and Tyrell Williams. Then rounded out my draft with the Denver defense. Now with other mock drafting websites, your experience would end here. Not with the FantasyPros mock draft tool. As you can see below, they provide you with a free draft analysis that grades your draft based on FantasyPros Expert Consensus Rankings. The Draft Analysis tab lists where you were able to find value picks or where you over-drafted a player. The Team Analysis tab tells you where your team is strong or weak compared to other teams. The Projected Standings tab tells you where you would be expected to finish based on ECR. Most importantly, they have a pool of hundreds of great team names you can choose from and pretend like you came up with it yourself. 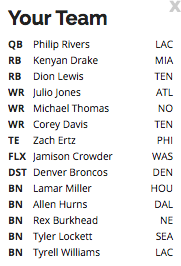 As for this draft, FantasyPros gave me an A grade of 95/100. My father is deeply ashamed I didn’t get an A+, but I’ll live. I am projected to finish first according to the Projected Standings. My team is very balanced and has a lot of depth with good upside. Too bad I can’t take this team into the real league because I am in love with it! Hopefully, my real drafts will go this well. In the meantime, I’m going to continue using this tool to improve my drafting skills. You can do this with your real drafts too, just import your leagues into the Draft Analyzer. Then from there, you can use the MyPlaybook Tool, which in my opinion, is the best in-season management tool out there. It will tell you the best waiver/free agent pickups to make, who to start and sit, and help you find trades to propel you to the championship. ← Previous Story 2018 Fantasy Football Top 10 Riskiest Players: Worth the Risk?